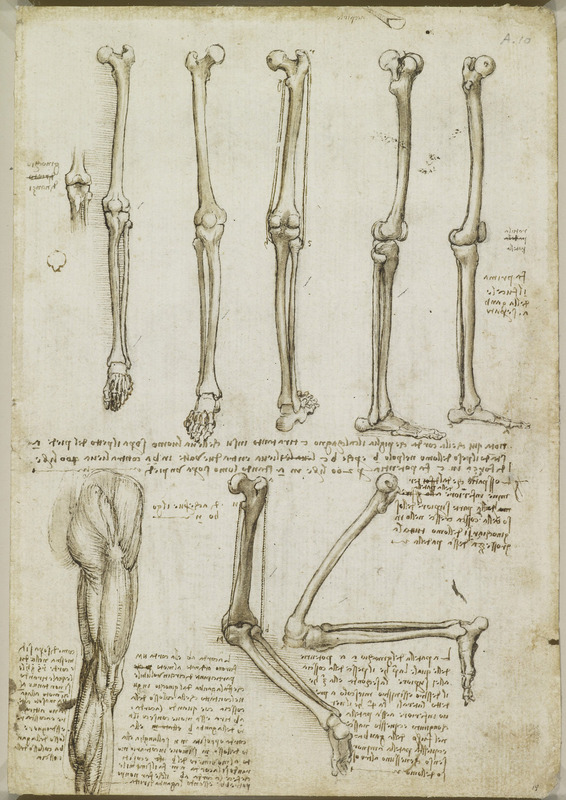 Recto: five studies of the bones of the leg and foot; a drawing of the knee joint and (?) patella; two studies of the bones of a right leg with the knee flexed; the muscles of a right buttock, thigh and calf. Verso: three studies of neck muscles, seen from the back; four studies of the neck, chest and right arm, showing muscles; a slight geometrical diagram demonstrating rotation of the arm; some notes on the drawings.